Lovers of historical mysteries will relish this chilling Victorian tale based on real events and cloaked in authenticity. The first in a series of fiendishly clever historical murder mysteries, it casts British literature’s most fascinating and controversial figure as the lead sleuth. 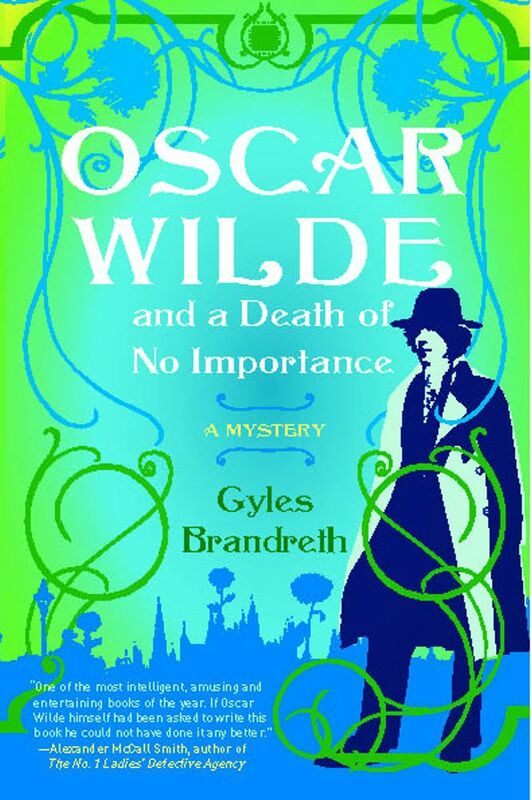 A young artist’s model has been murdered, and legendary wit Oscar Wilde enlists his friends Arthur Conan Doyle and Robert Sherard to help him investigate. But when they arrive at the scene of the crime they find no sign of the gruesome killing—save one small spatter of blood, high on the wall. Set in London, Paris, Oxford, and Edinburgh at the height of Queen Victoria’s reign, here is a gripping eyewitness account of Wilde’s secret involvement in the curious case of Billy Wood, a young man whose brutal murder served as the inspiration for The Picture of Dorian Gray. Told by Wilde’s contemporary—poet Robert Sherard—this novel provides a fascinating and evocative portrait of the great playwright and his own “consulting detective,” Sherlock Holmes creator, Arthur Conan Doyle.